Kinlochewe lies some two miles south east of the head of Loch Maree, a very strong contender for the title of Scotland's most scenic loch. 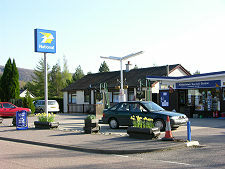 The A832 from Gairloch follows the south west side of the loch before passing through Kinlochewe. 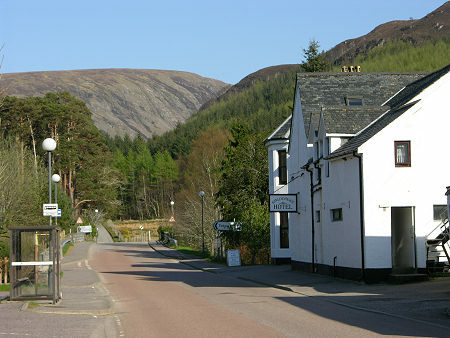 It then enters the mouth of Glen Docherty en route to Achnasheen. Another road heads south from Kinlochewe and along Glen Torridon beneath its stupendous mountains en route to Torridon and Applecross, while to the north a track through Incheril gives rough access to the Heights of Kinlochewe. 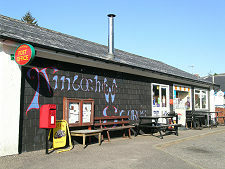 The name Kinlochewe implies that this is the settlement that lies at the head of Loch Ewe. Which is a bit odd as Loch Ewe is the sea loch on which you find Poolewe, some fifteen miles to the north west. 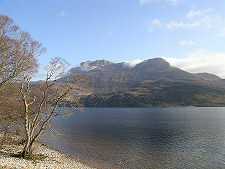 The answer lies in the fact that until around 1700 Loch Maree was also called Loch Ewe. 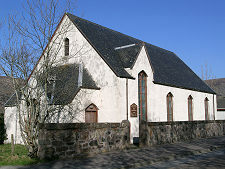 The name was changed to commemorate St Mealrubha, who is credited with bringing Christianity to Wester Ross and who had a cell on Isle Maree, one of Loch Maree's islands. The north east side of Loch Maree is dominated by one of Scotland's most attractive mountains, Slioch or the spear. Today it is natural to think of that shore of the loch as being just as wild as the vast area of mountainous wilderness beyond Slioch. 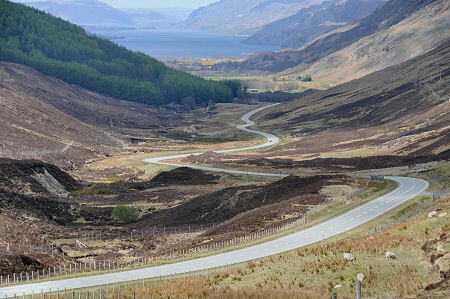 It is odd to realise that for centuries the Slioch side of the loch carried the drove road from Poolewe to markets at Dingwall and Inverness: and it was the south west side of the loch that was the less travelled. 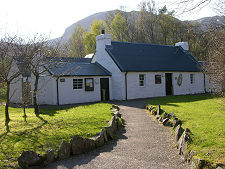 From the early 1600s English ironmasters set up furnaces at Letterewe on the north east shore of Loch Maree and at its eastern end. For over 50 years, iron ore was imported by sea from England for processing, because it was far easier to transport than the vast amount of charcoal needed to process it. The industry ceased after it has consumed all the readily available woodland in a wide area of Wester Ross. In a sad case of history repeating itself, during the Second World War much of the woodland that had recovered since the 1600s was cut down to make ammunition boxes to support the war effort. 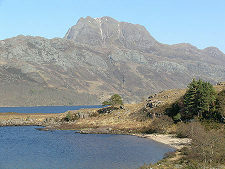 The south west side of the loch is home to the Beinn Eighe National Nature Reserve, and the land to the west of Kinlochewe climbs steadily to Beinn Eighe. 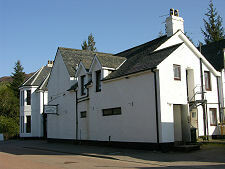 The village itself is home to the Kinlochewe Hotel, built originally to serve traffic along the drove road in about 1800. 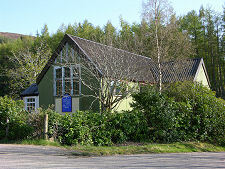 There's also a Caravan Club caravan site, a shop and post office, two churches and a garage.